Ten of the UK’s top ranked BJJ athletes are currently on their way to fulfilling their dreams in competing at the IBJJF European Championships following sponsorship packages given by the UKBJJA (UK Brazilian Jiu Jitsu Association) and the support of UK based companies. In December the UKBJJA announced the top ranked athletes of 2015, male and female, for each belt category. The athletes were offered the chance of a lifetime to step onto the same mats as the world’s biggest and best BJJ practitioners at the competition. The event is the biggest in the calendar for the whole year for many seasoned competitors and academies and attracts the largest crowds who support and cheer on their teammates. Held in Lisbon, Portgual, the competition begins tomorrow and will see young and upcoming stars from the age of 18-years-old right through to the veteran black belts put everything they’ve drilled and trained in practise, along with their sweat, blood and tears, onto the mats. The UKBJJA were able to offer the top ranked athletes a team gi thanks to the kind generosity of a small number of UK companies wishing to support not just the athletes, but the growth of BJJ within the UK community. These companies included Faixa Rua, Rainha Fightwear, Sulston's Kitchen, Saboroso Acai, Idee Puree, Break, OC Industries, Jiu Jitsu Style Magazine, Saiko Graphics and Physical Being. Each company has their logo printed on the gi for all to see that they wish to support the UKBJJA and its work in striving to build the growth of Jiu Jitsu and competitions available for athletes within the UK. The top ranked athletes were also offered the help of experienced individuals to prepare them for the day. This included seminars from high performance coaches Braulio and Victor Estima, nutritional plans and advice from Kirsty and Ben Sulston, fitness tips from Asaf Sitbon, Russell Board and Conor McGoldrick. Graphic designer Levi Bunyan also helped the UKBJJA with the trip to the Europeans by completing designs. Idee Pure is a company that creates high quality soap for BJJ, MMA and contact sports. Based in Manchester, all of the soaps are handmade with care and produced in small batches. Started in 2013 by John and Nat, the name originates from the French translation ‘Pure Idea’, used because Nat is french. Nat explained: “Everything we do is about being as pure or as natural as possible. All of our products are vegan friendly, cruelty free and we believe nature has a lot to offer and are obsessed with finding the perfect blend of oils, botanicals and premium raw materials for our products”. John grew up training with teachers in Kung Fu, Muay Thai, Tae Kwon Do and JKD as his father ran a martial arts centre. He reminisced: “I distinctly remember when Karl Tanswell and Colin Robinson started running grappling classes in the building in 2000 or 2001. They were definitely pioneers here in the North West! I tried some sessions and felt completely helpless on the ground”. John decided not to train at that point and picked up BJJ again in 2009 whilst living in Thailand, training under Adam Shahir Kayoom. He added: “This time I was hooked and I’ve been training ever since”. 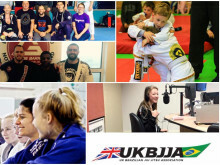 John explained why they chose to get on board with sponsoring the UKBJJA athletes’ gi: “To us, the UKBJJA and the sponsored gi represent a wonderful ideal. 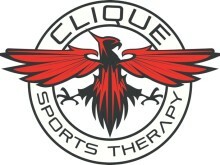 It is about supporting hard work and giving back to the community regardless of team or affiliation. We wanted to be a part of this and to have an opportunity to support the community that supports us”. 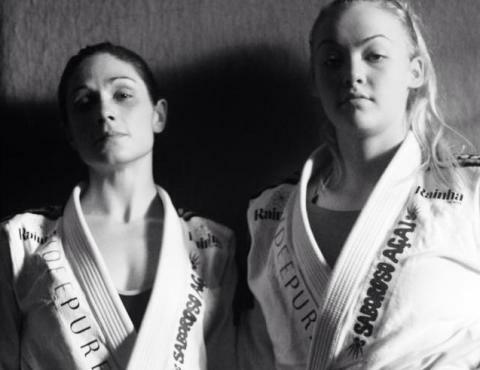 Idee Pure currently sponsors three UK BJJ competitors; brown belt Leoni Munslow, who is one of the ten top ranked UKBJJA athletes, black belt Charlie McDonald and purple belt Laurence Irving. Nat commented: “These three athletes embody our brand perfectly – on the mat they’re fierce competitors, off the mat they are down to earth, hard working, genuine people that truly embrace the BJJ lifestyle”. Talking of the benefits their products give athletes, John said: “BJJ is a full contact sport and this means your skin is definitely going to notice if you’re training and competing regularly. It’s almost unavoidable – mats get dirty, Gis get sweaty and you will get the occasional knock, bruise or gi burn. Every now and then you may also pick up some nasty skin infections”. “Our soaps don’t just get you clean, they’re designed to invigorate the senses, ease your aching muscles and leave you ready for the next challenge. We spent a long time formulating our unique blends and we’re confident that people will notice the difference not just in the way their skin feels but also in how they feel overall. It’s a total approach to refreshing the body and mind”. Speaking of the UKBJJA and its ranking system, John said: “The UKBJJA is doing a great job and the ranking system can only be a good thing. I think their work inspires people to do more, to aim higher and to realise they’re part of something bigger than themselves. It helps people to realise there is a great Jiu Jitsu community out there with some brilliant schools and good people”. ‘Jiu Jitsu Style’ is Europe’s first bi-monthly magazine, is guest edited by BJJ sensation Roger Gracie and is aimed solely at Brazilian Jiu Jitsu. With a talented mix of photographers and journalists from around the world, it showcases BJJ via a range of interviews, reviews and special features. Jiu Jitsu Style Magazine intends to raise the profile of BJJ as a mainstream sport and provide interviews to show unrivalled insight into fighters’ lives. Magazine owner Callum Medcraft chose to sponsor the UKBJJA athletes’ gi because of the work that the UKBJJA does. He said: “The UKBJJA have been doing fantastic work helping Jiu Jitsu grow in the right direction here in the UK, and the talent level of our athletes is also constantly on the rise. Though our magazine focuses on the global Jiu Jitsu scene, we are based in the UK, so it’s great to support the endeavours of our home grown athletes and the UKBJJA as best we can”. Callum continued: As a magazine, we have literally done nothing in the way of sponsoring athletes in the past, so this is a great opportunity and I’m really happy that we can do our little bit to help support the UK team. Callum has been training for BJJ for eight years and launched Jiu Jitsu Style Magazine over five years ago. He added: “I may not be a world class athlete, but Jiu Jitsu has become such a huge part of my life and I feel very lucky to have joined such a wonderful community”. Physical Being is the company that supported the UKBJJA sponsored athletes in the run up to the European Championships. It has a whole-being approach to lifestyle and fitness and provides personal training, nutrition advice and group training. Kirsty Sulston, Director of Physical Being, has been working with the UKBJJA sponsored athletes on their nutrition on the build up to the Euros. She developed a personal nutrition profile for each athlete that chose to use it, analysing their current diet and offering individualised macronutrient breakdowns, as well as advice on how to improve their nutrition to optimise their performance. Kirsty, who founded Physical Being in 2015, said: “I have always intended to work with BJJ athletes as I have also been practice training for almost two years. I work with a number of the Carlson Gracie Team in Kent in personal training and nutrition advice and so it is an honour to work with the UKBJJA and the athletes at this stage in its development”. Kirsty continued: “I think that what they are doing for BJJ in the UK through their ranking system is great for the sport. BJJ is still developing and the steps the UKBJJA are taking are beginning to professionalise the sport and raise its profile in a wider context. I am also a great advocate of women's BJJ and so am very supportive of the UKBJJAs work to raise engagement among females”. Saiko Graphics, ran by Craig Mitchell and Tracey Moore, supplied the t-shirts printed with the sponsors and the UKBJJA patches. Craig said: “We felt it was the right thing for us to get involved and support the UKBJJA where we could and hope to work with them again in future, as they're really making an effort to support BJJ in the UK. Craig crossed over to BJJ from a judo background and trains in Sunderland under Dale Percival and Pete Irving. Tracey has a huge amount of experience in the clothing import industry and together they’re aiming to bring some innovative products to the BJJ community, for both individuals and academies. Sulston’s Kitchen is a company that is run for athletes by athletes and provides recipes for food and snacks to fuel a fighter ready to take to the mats. It offered a care package of healthy snacks for all the top ranked athletes going to the Europeans, which included two of the company’s favourite healthy snacks of protein flapjacks and multi seed protein balls to help keep the athletes fueled whilst competing in Lisbon. Company owner Ben Sulston said: “I chose to support the UKBJJA because of everything they are doing to support UK based athletes. 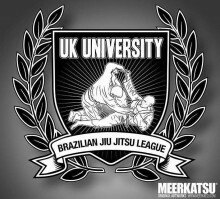 The UKBJJA is great because of all it is doing with seminars, referees courses and sponsoring the athletes. I think the ranking system is great because it will encourage more people to compete and long term this will increase the level of BJJ here in the UK”. Sulston’s Kitchen was started in November 2014 by Ben, who has always tried to support UK athletes and has been training in BJJ himself since 2008. Rainha Fightwear, which also supported the gi made for the athletes, is a new brand of fightwear and lifestyle apparel made specifically for women in combat sports, martial arts and fitness. Its gis, rashguards and spats are cut specifically to fit women, and designed in a range of styles to suit all ages, sizes and tastes. Company owners include Josie, a creative, enthusiastic and driven mother and BJJ white belt, Jon who is a graphic designer and BJJ blue belt and their daughter Marlee. She continued: “More and more people, no matter their personal challenges, are competing around the country. They're not held back, their heart and passion are encouraged and positively embraced. The BJJ community is exactly that, a community, a lifestyle, supporting people no matter what challenges they face and we think this is amazing, breeding positivity, hardwork and dedication”. The UK Brazilian Jiu Jitsu Association (UKBJJA) has strengthened its position as the national governing body for the sport of BJJ in the UK. Thanks to a formal request by the UKBJJA, an organisation set up by members of the British Judo Association in an attempt to claim jurisdiction over the sport has had to change its name from Brazilian Jiu Jitsu UK Association to the BJJ UK Council (BJJUKC). ​Jane Kotchkina is a Jiu-Jitsu athlete out of Carlson Gracie London who is on her way to the IBJJF European Championships after being named the top ranked female blue belt by the UK Brazilian Jiu-Jitsu Association (UKBJJA).